Thank you to grab green for sponsoring this post. As always all thoughts and opinions are 100% my own. We always cooked a lot, but now I’m eating plant based and gluten free… I’m cooking a lot more. Take out is pretty rare around here. Cooking is fun, but it can also be pretty messy and creates a lot more dishes, pots, cutting boards, knives and counters to be cleaned. My husband is mostly the dishwasher, but as Izzy has gotten bigger she wants to help as well. She was super pumped about our non-toxic products that we got from grab green. I created the cutest video of Izzy opening the products and giving them a try. I mean, don’t we all want safer products in our home? 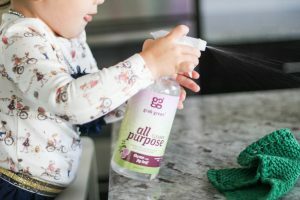 I really love the all purpose cleaner because it cleans and doesn’t leave any residue behind. 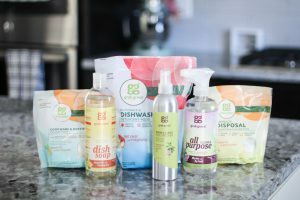 Guys I’m super proud and excited to have non toxic products in my home keeping it clean and smelling great! Seriously though each fragrant is amazing. 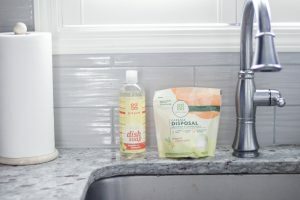 We love using dishwasher pods, but I’ve noticed most brands they come all stuck to each other, then you pull them apart and ruin some because it open them up and makes a big mess. 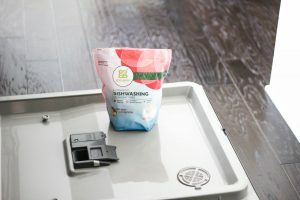 These pods have held up great in the bag and my dishes come out clean and streak free. 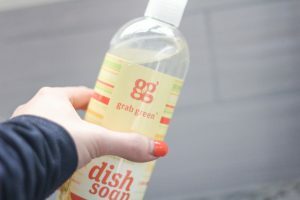 If you are looking for products that are safer for your home and the environment then give grab green a try. These products are awesome!!! Must try them! 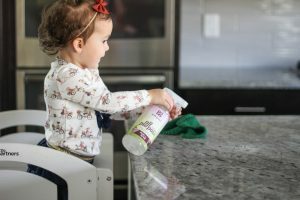 ThIs is the best non toxic cleaning info I have seem! Beyond adorable!! 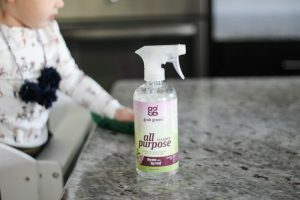 When I was pregnant, I switched all our cleaning products to green products. I have never heard of this brand, but I will definitely be checking them out soon!